Item # 319677 Stash Points: 2,695 (?) This is the number of points you get in The Zumiez Stash for purchasing this item. Stash points are redeemable for exclusive rewards only available to Zumiez Stash members. To redeem your points check out the rewards catalog on thestash.zumiez.com. 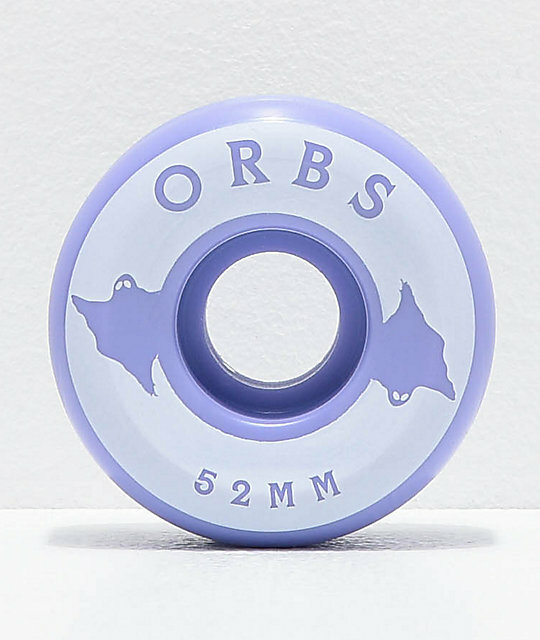 If plazas are your style then the Orbs Wheels Specters Lavender 52mm 99a Skateboard Wheels are a perfect option. Only 52mm in size, these wheels reach top speed quickly while their 99a durometer rating is an ideal level of grip to hold on vert lines, but still slide like butter when you want. 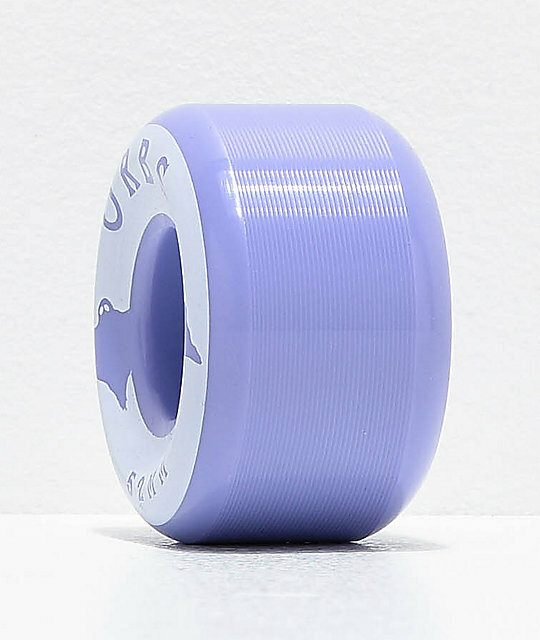 Specters Lavender 52mm 99a Skateboard Wheels from Orbs Wheels. 52mm sizing and 99a durometer hardness.